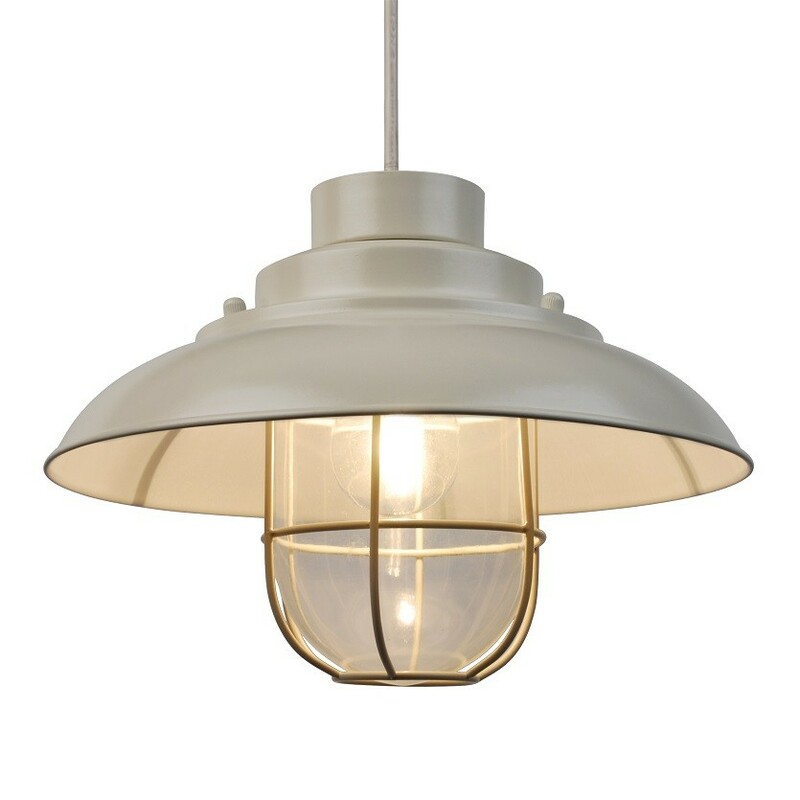 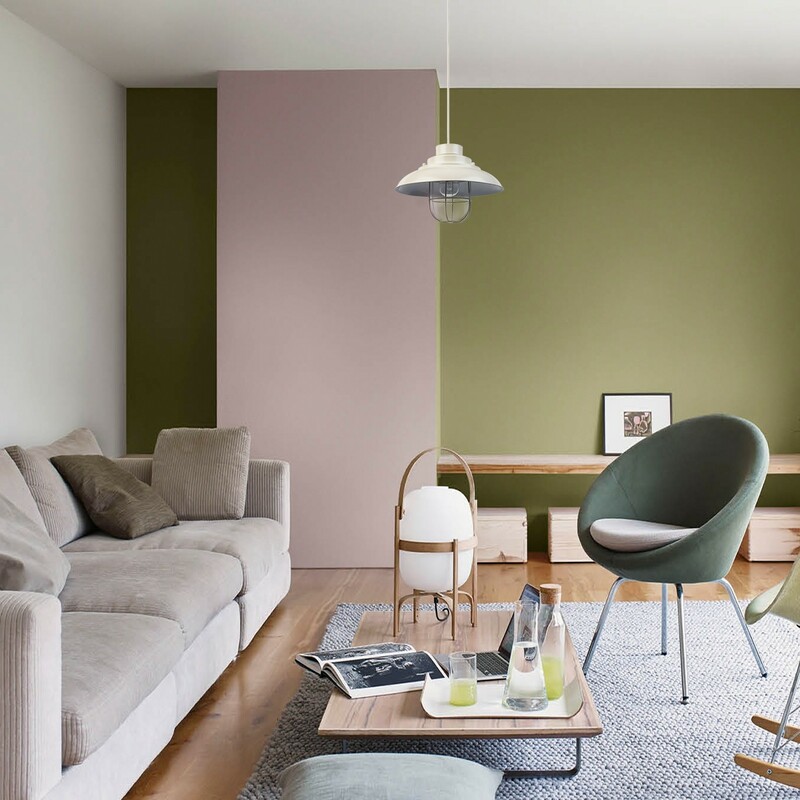 A fashionable classic, this matt cream metal lantern is beautifully designed for maximum impact. 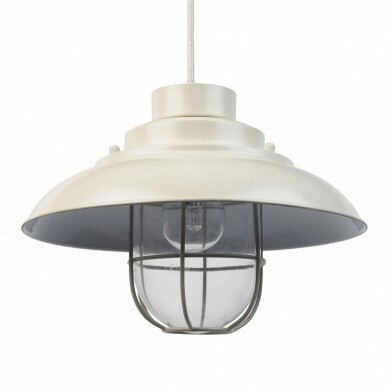 Finished with a matt cream outer and gloss white inner, this easy fit lampshade also features a glass shade together with a metal cage covering. 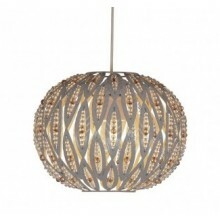 This will look great in a kitchen, dining or hallway setting. 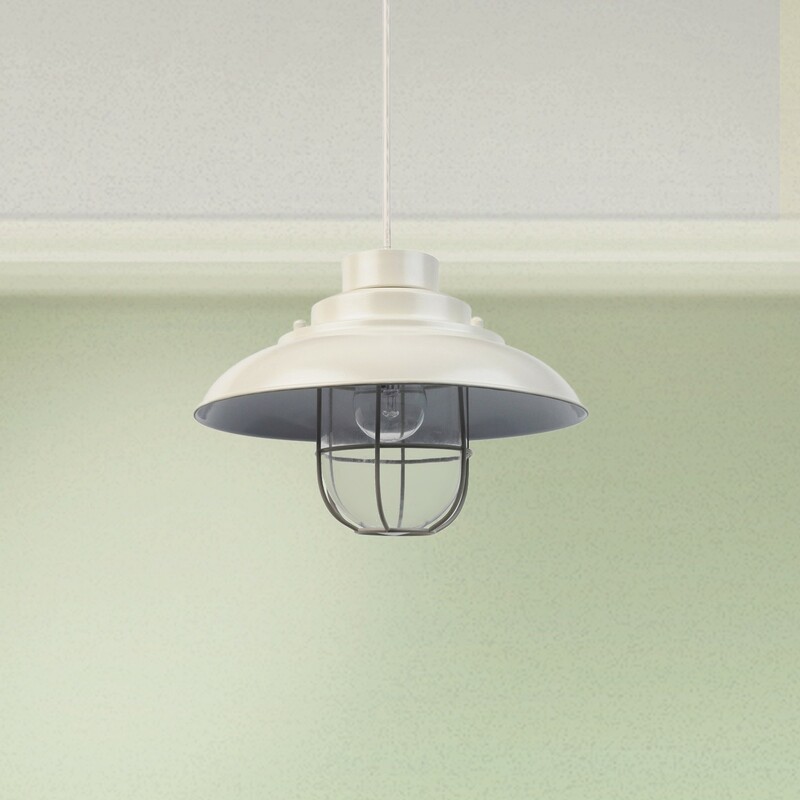 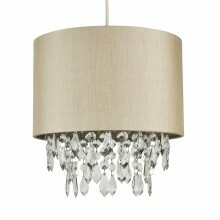 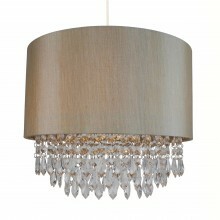 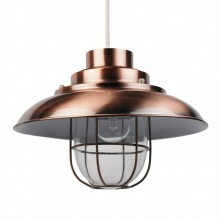 This ceiling shade fit onto your existing ceiling pendant flex.